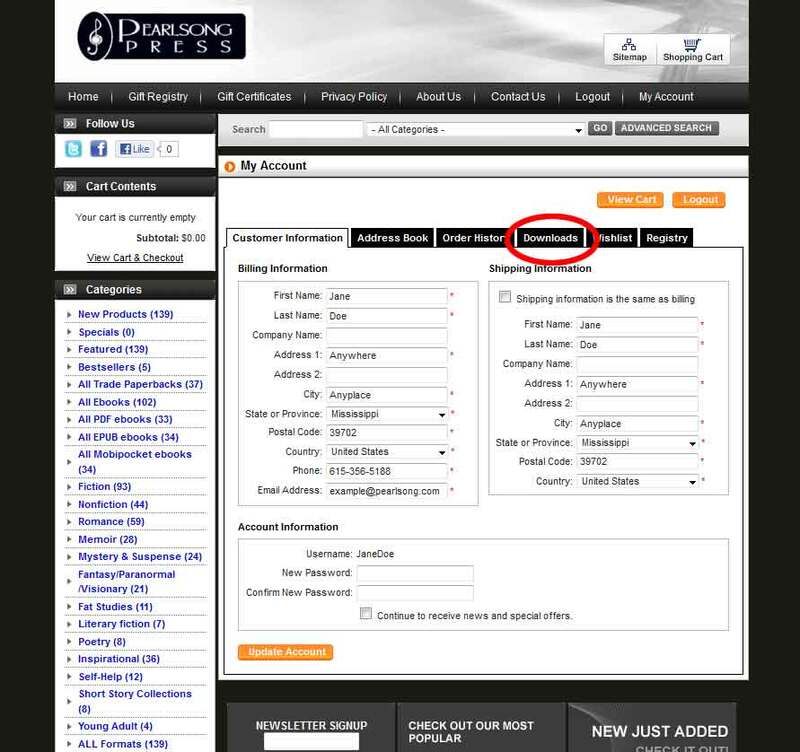 If you have any trouble accessing your account or downloading your ebook, please let us know by emailing. 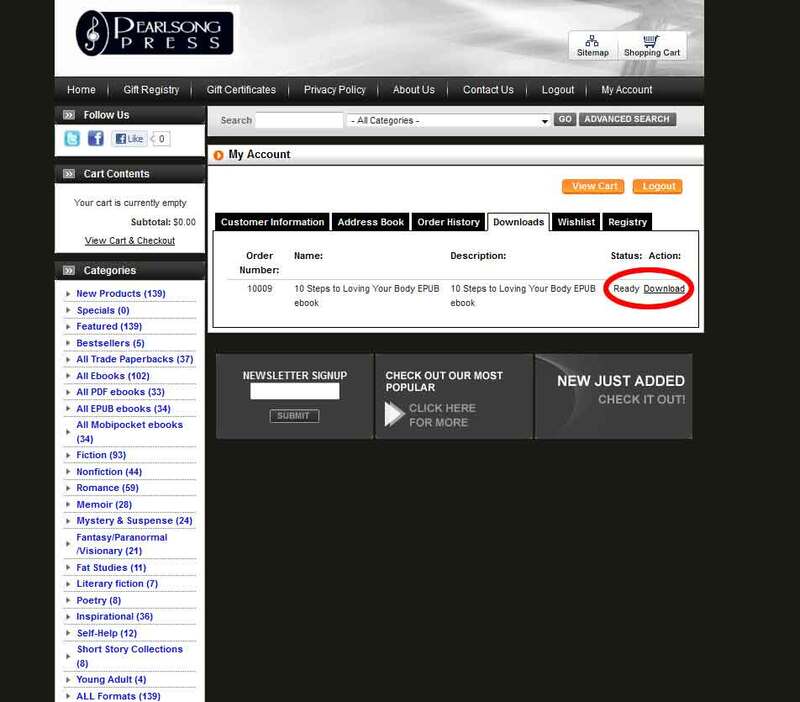 We will respond as quickly as we can and will email your ebook or refund your payment if needed. And will be terribly sorry for any frustration or inconvenience. 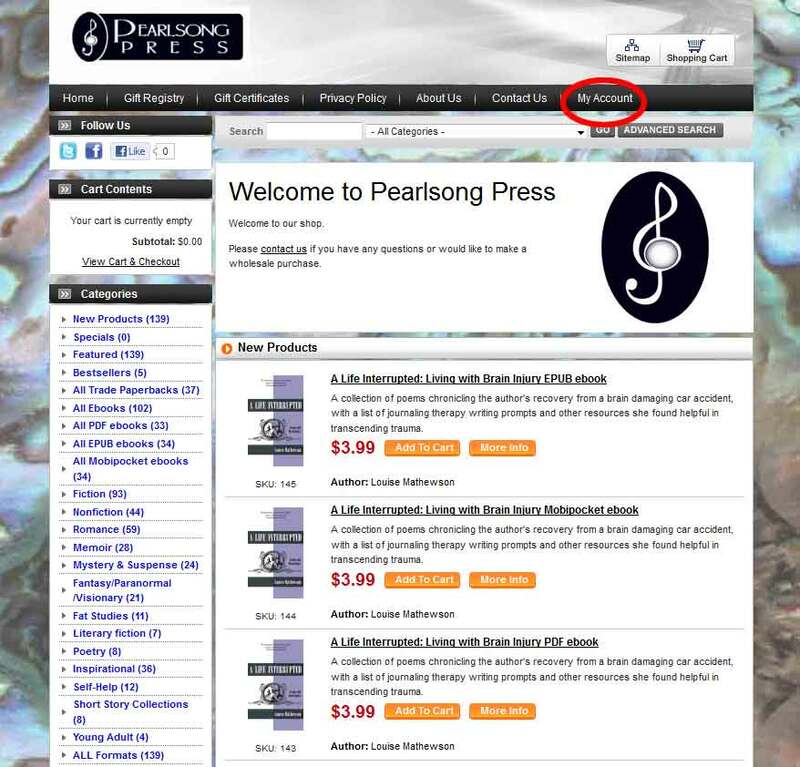 Go to the main shop page via www.pearlsong.com/shop or by clicking on the "Shop" link on the tool bar at the top of this page. 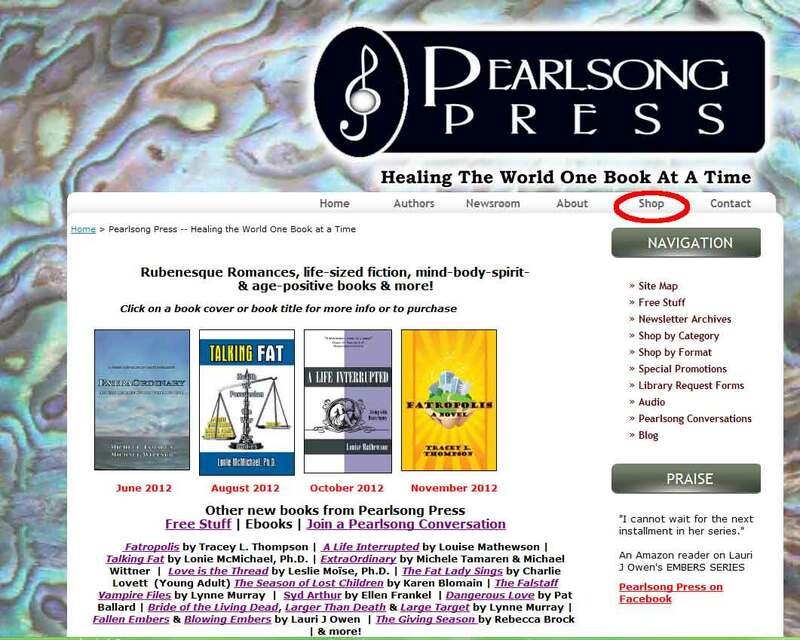 Click on the "My Account" link on the far right of the tool bar at the top of the Shop page. Type your Username and Password into the fields under the "Already a Customer?" heading at the top of the page. You should have been sent the Username and Password in a Welcome email when you made your purchase. If you didn't create an account yourself during the checkout process, one was automatically created for you. Once logged in to your account, click on the "Downloads" tab. 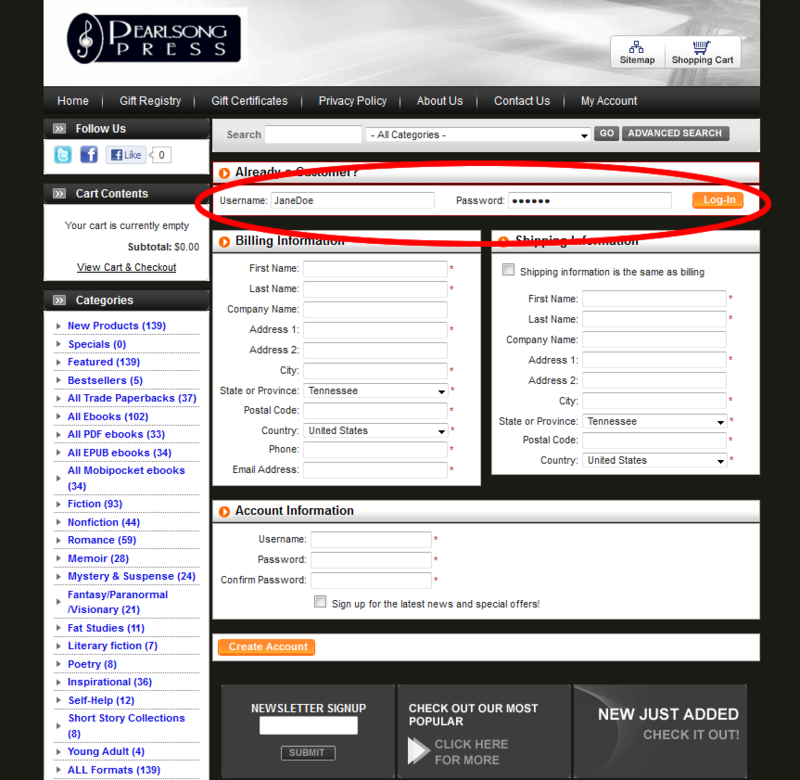 In the Downloads section you will see the downloadable product(s) you have purchased. Click on their link(s) to download and save to your computer.